I remember turning 16 and being bummed out that I was "sweet 16 and never been kissed." Not that any of my friends were more experienced (I went to an all-girls high school, so it's not like there was daily opportunity), but I still was anxious to start dating. I had a boyfriend in high school and went on a fair amount of dates after that, but after my first college boyfriend and I broke up, I began using dating apps and that's when the real fun began (I will admit I vacillated on using Tinder and ultimately made out better on Bumble, but overall I am very glad I used dating apps because they were a gateway to meet people). I got to meet all types of guys and have different dates. From concerts, to picnics, to rock climbing, to museums, to movies, they introduced me to their interests and I had a fun time getting to know each one (well, most...there were definitely some dud dates mixed in there). While it mostly came naturally to me, it was still hard to put myself out there. It's one thing to stop talking to someone who you've just been texting, but another thing to have someone decide, "hmm I've had the chance to spend time with you and now I've decided I'm not interested." But we know that going out there and giving it a try is the only way to find out if you are good for each other and when you gain confidence you can have an awesome time in the process. 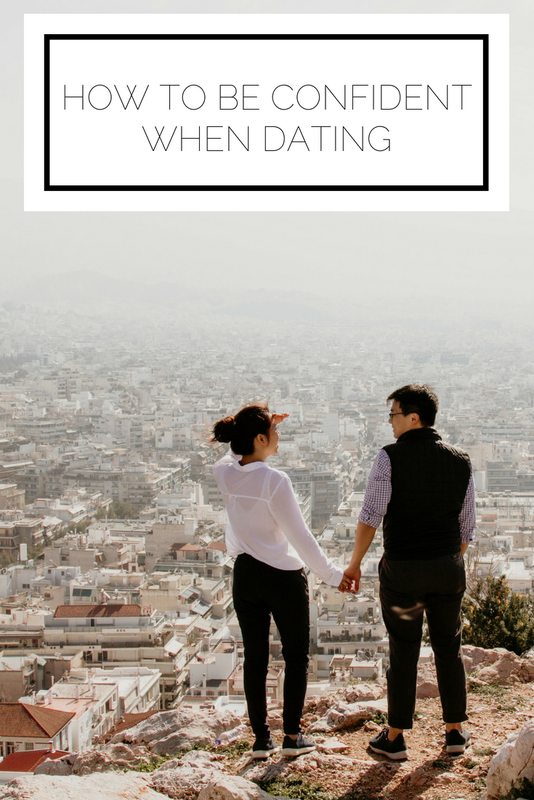 Here are my top tips to be confident when dating and make the most of the experience. Dating with the expectation that you're quickly going to find the love of your life is not setting yourself up for success. While it could happen, the likelihood is slim and you're better off going into dates recognizing that you are learning about yourself and other people and hopefully doing fun things in the process. This mindset takes pressure off of the situation and allows you to relax; a key element of being confident. It's essentially inevitable (there are always exceptions, which is why I keep using all of these qualifiers) that it's not going to work out more often than it does. If 16 year old me knew I'd have to kiss so many frogs before getting to the prince, I probably wouldn't have felt as bad about not getting started yet. So understanding that most things aren't going to pan out can be another way of taking the pressure off. I'm not saying you should be skeptical and never get invested, but you certainly don't need to look at every date as though it's the do-all and end all. Being good at dating is like anything else: you have to practice. I learned so much from each guy I dated that prepared me for when I finally met the right guy. I figured out how to express myself and read other people better. I understood how much I was comfortable revealing and doing at each stage of our relationship. And while there are differences in every relationship, you can establish your baseline. By adopting this mindset you can free your mind to focus on the fun and enjoyment of dating, learning about yourself and having new experiences without doubting your every move. What are your best tips to be confident when dating? What's your biggest challenge? Would you like to see more relationship centered posts? Let me know!